MOTORISTS HEADING HOME from work will be subject to extra scrutiny over their seatbelts. This comes as part of an initiative from the European Traffic Police Network (TISPOL) to improve safety on the roads. Gardaí will be participating in the programme and will be joining their colleagues across Europe in issuing fines to vehicle occupants who are not wearing their seatbelts. Speaking about the move, TISPOL president Aidan Reid, said, “Using a seatbelt is a quick and simple task; it’s also a highly effective way of reducing the consequences of a collision. Yet there are still drivers and passengers who for whatever reason do not use a seatbelt. The initiative will be running from today until Sunday. Under European law drivers are required to wear a seat belt in “any seat fitted with one”, a law that has been in place since 2006. Not wearing a seat belt is found to be the second biggest cause of road deaths, behind speeding but ahead of drink-driving. Safety guidelines from the European Commission outline that airbags should not in any circumstances be considered a substitute for seatbelts. Read: Should all cyclists and pedestrians have to wear hi-vis vests? 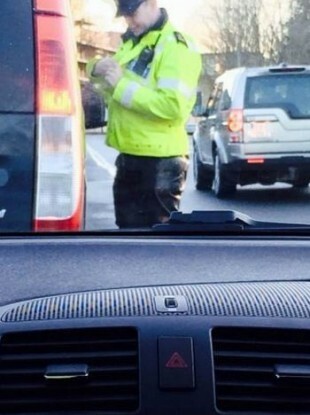 Email “Rush hour drivers take note... Gardaí have launched a seatbelt crackdown”. Feedback on “Rush hour drivers take note... Gardaí have launched a seatbelt crackdown”.